Worried about your upcoming conference presentation? Here’s some advice paraphrased from some of the greats in our field. Try to avoid these four sins and you should be on your way to success. If you know of any other presentation sins that make you cringe add them to comments. 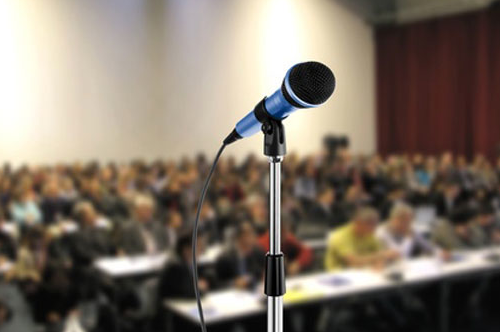 As the common adage goes, “If you say three things you’ve said nothing.” A presenter is best off if they make one clear point, especially in a short 15 minute conference presentation format. Jim Bettman advised at the 2012 Association for Consumer Research Doctoral Consortium that when communicating research presenters should tell a consistent straightforward story. He noted that it is a simple linear story, not a mystery story and not a story with many subplots. In sum he advised: tell the audience what you are going to tell them, then tell them it with data, and then remind them what you told them. Conference presentations are about the presentation of new research, not old research. However, many presenters (especially young presenters) often are so excited by past findings they spend half their talk reciting papers from the 1980s. Literature reviews should serve two main purposes: motivating the current research question (e.g. where are the gaps) and providing any necessary background info with which a diverse audience might not be familiar. Research presentations for the most part should be presenting new theory, clarification of theory, or application of theory. However presenters are often so proud of their methodologies or data analysis that they focus more on their stimuli and statistical models than on the actual research. Remember, three-way interactions are only interesting when audiences understand their potential theoretical importance. Audience members often get distracted through thinking about an implication of the finding, zoning out from tiredness, or worrying about their own later sessions. This means audience members are not hanging onto a presenter’s every word. If a presenter explains a method, an acronym, or a hypothesis only once, the audience members may miss it. This entry was posted in Conferences, Tips and tagged Conferences, tips by TroyHCampbell. Bookmark the permalink.